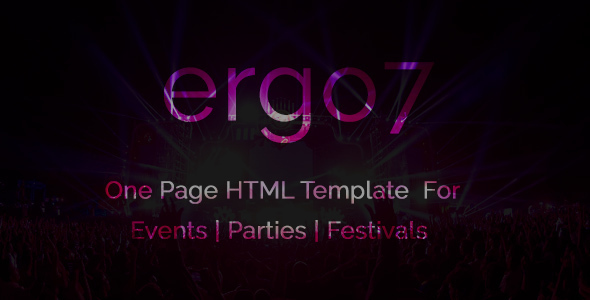 Ergo7 – HTML Template for Events | Parties | Festivals Created by ergo7. This templates have specific characteristics, namely: One page template for Events,Parties and Festivals . You can use this Ergo7 – HTML Template for Events | Parties | Festivals on Site templates category for dance, events, fashion, html, music, nightclub, nightlife, party, style and another uses.